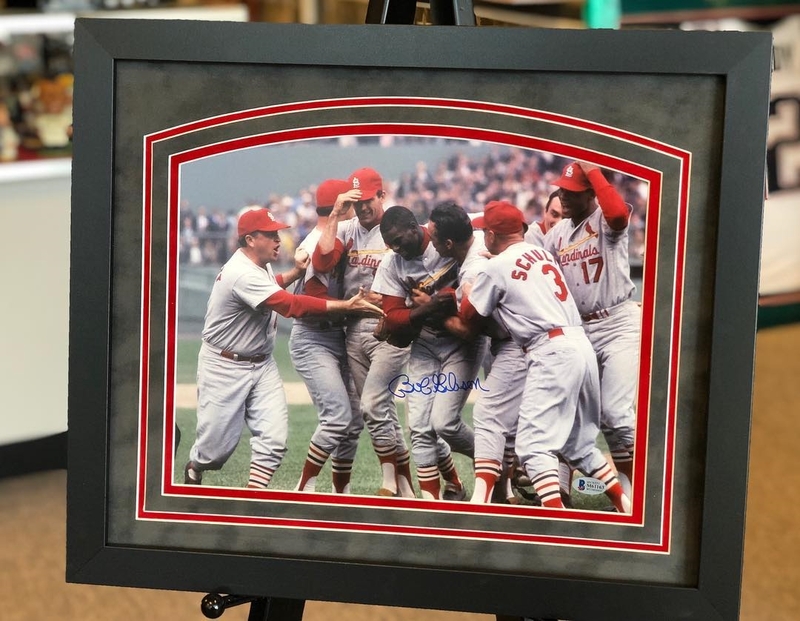 Celebrating with Bob Gibson in the 1967 World Series! Beautiful signature in blue pen on this one of a kind print! We matted this beautiful print with black and gray suede and finished it in a black frame. What an addition to your sports memorabilia collection!